Wow! It's October already! 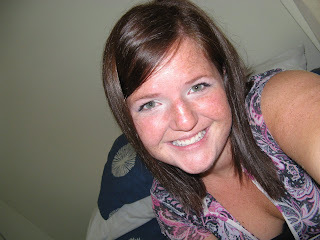 This weekend marks the 2 month anniversary of my arrival in Tampico. I'm learning a lot and really enjoying it here. 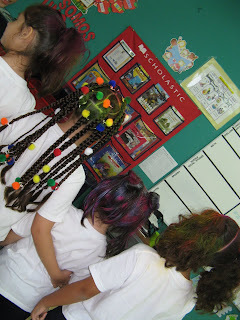 This week we had crazy hair day at school and let me tell you---they go all out!!! check out the fun below in the pictures! Although I have been blessed to avoid any kind of stomach flu or other stomach issues, I have been battling a cold. I had one for almost 2 weeks.....go 2 weeks off and now it seems to be back again, so that is a little frustrating---especially since i don't know what kind of meds to buy here. So if you think of me, just pray that whatever bug I have in my system would go away so I can be back to normal soon again. That's all I can think of right now to write about so I'll just stop:) thanks for checking in!